Pelargonium sidoides is a medicinal plant native to the Eastern Cape, Lesotho, Free State and southern and south-western Gauteng in the Republic of South Africa. 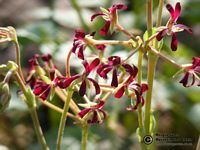 It is a rosette-like plant with round, velvety leaves, narrow, and dark purple to almost black flowers and swollen tubers below the ground. P. sidoides can be planted in rockeries in full sun. It needs less water during winter and dead leaves and old flower stalks should be removed regularly. 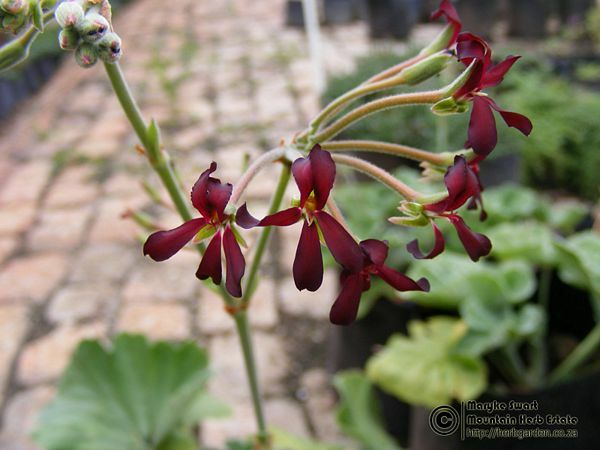 P. sidoides has been a traditional remedy used by the Zulu, Basuto and Xhosa as a curative for coughs, upper respiratory tract irritations and gastrointestinal problems. Today, clinical research has confirmed that P. sidoides is very effective for treating respiratory infections like acute bronchitis, sinusitis, pneumonia, tonsillitis and rhinopharyngitisthe symptoms associated with bronchitis, including headache, fever, fatigue, cough, chest pain while coughing, sputum in the lungs, rhonchi, nasal dripping and acute and chronic ear infection. 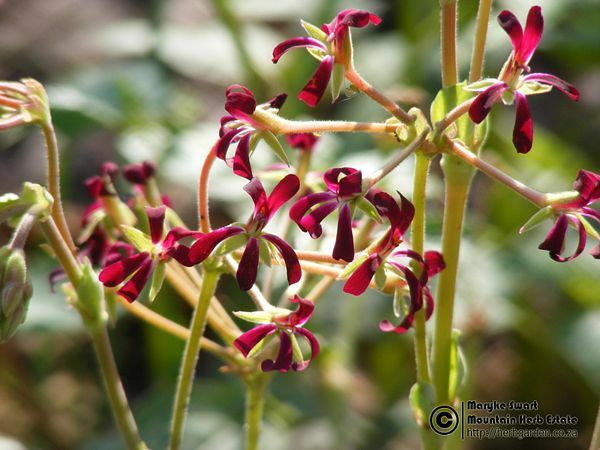 Root extract of Pelargonium sidoides is marketed under various brand names including Kaloba, Umcka and Zucol and is often used as an alternative to antibiotics. It is anti-bacterial and prevents bacteria from attaching to cells in the mucous membranes. It is antiviral and prevents viruses from attaching to the mucous membrane cells and stimulates the body’s immune system in such a way that both bacteria and viruses are prevented from multiplying. It acts as an expectorant, allowing the body to expel contaminated mucous making conditions less suitable for the multiplication of the bacteria and viruses. Pelargonium sidoides is also rich in phytochemicals, vitamins, minerals and amino acids that enhance the body’s functioning and protects it against diseases. 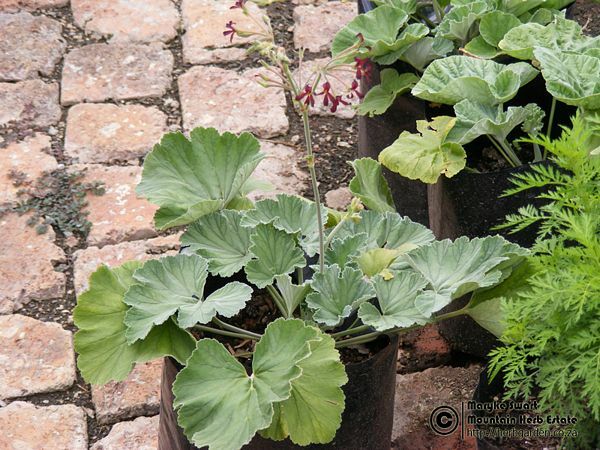 Treatment with Pelargonium sidoides rapidly improves the typical symptoms associated with infections such as cough, fever, sore throat, fatigue and weakness.